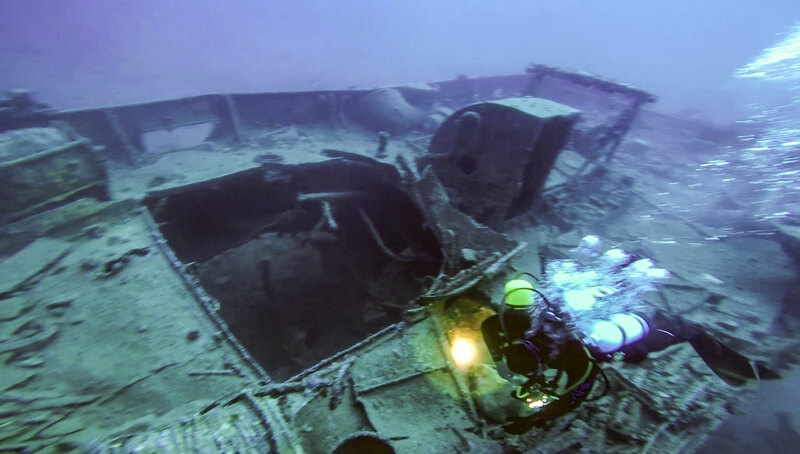 HM Drifter Eddy is one of the many World War II wrecks around Maltese Islands. 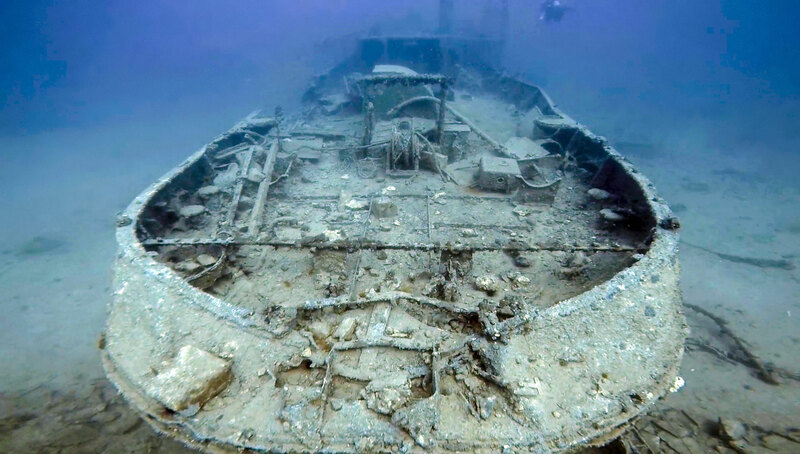 HMD Eddy was a British WWI vessel that was assigned to sweep for mines in Malta during WWII. She sunk after hitting a mine herself in 1942 when returning to Grand Harbour. HMD Eddy wreck is about 27 m in length and sitting upright on sandy seabed at 56 m depth, about 1.5 km off Fort St. Elmo in Valletta. 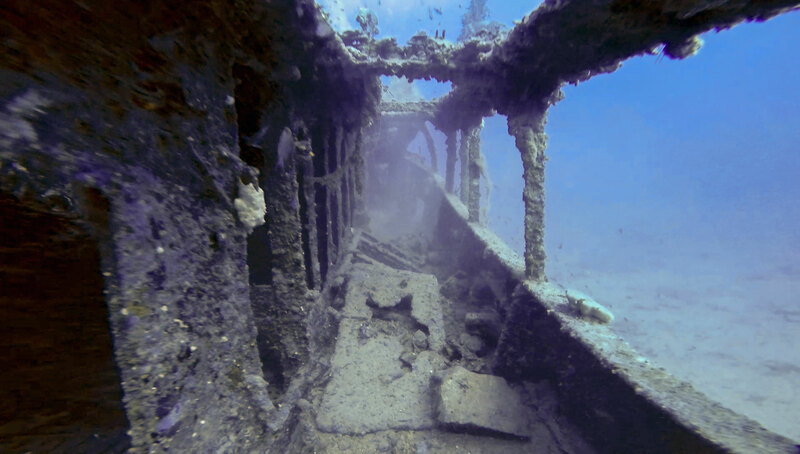 There is a big hole in the hull on the starboard side close to the stern where the mine hit, large enough for divers to swim through into the hold. Most of the wooden superstructure has collapsed, but some penetration is still possible. 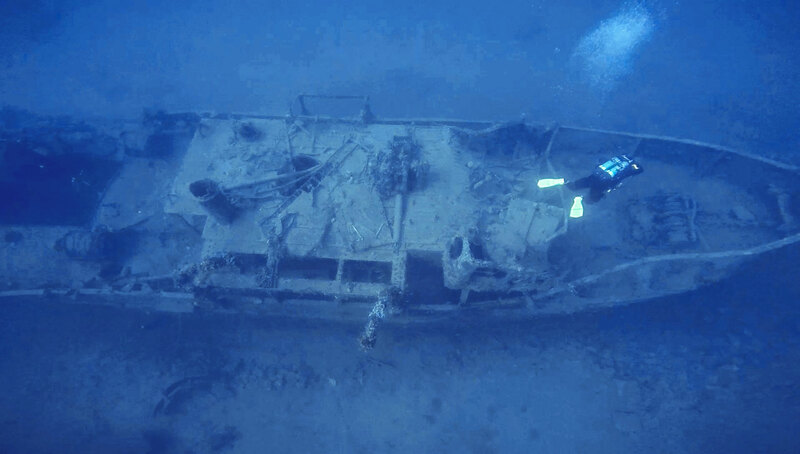 There is a lot of silt inside the wreck and the visibility can reduce quickly to zero. Drifter Eddy is suitable only for very experienced divers and technical divers due to the depth. This site is rarely dived because of its location close to Grand Harbour of Valletta and the busy ship traffic in and out of its entrance. HM Drifter Eddy (FY12) was built in Aberdeen, Scotland for British Royal Navy and launched on 6th August 1918. The steel vessel was 27 metres in length with a beam of 6 metres. At the end of World War I, HMD Eddy was conducting mine clearance duties along the south coast of England. After the war Eddy was transferred to Mediterranean Fleet and based mostly in Malta. In 1936 she was placed on the reserve list in Malta. At the outbreak of World War II HM Drifter Eddy was recommissioned as a "minesweeper drifter" and armed with two guns, one at the bow and one above the wheelhouse. HMD Eddy joined the 403rd Minesweeping Group stationed in Malta in 1942, although of a different class from other vessels. The minesweepers at that time were mainly built of wood, whilst Eddy had a steel hull, making her not quite suitable for this job. She was fitted with a degaussing (anti-magnetic) cable all around her side at water level as a precaution against magnetic mines. HMD Eddy’s duties included sweeping the approaches to Malta’s harbours, in order to ensure that the supply ships would not be sunk by enemy mines. On 26th May 1942 while Eddy was returning to port from clearing a channel further north which was mined by Italian E-boats during the night before, she struck a mine herself and quickly sank about 1.5 km off the entrance to the Grand Harbour. Eight of her crew lost their lives. 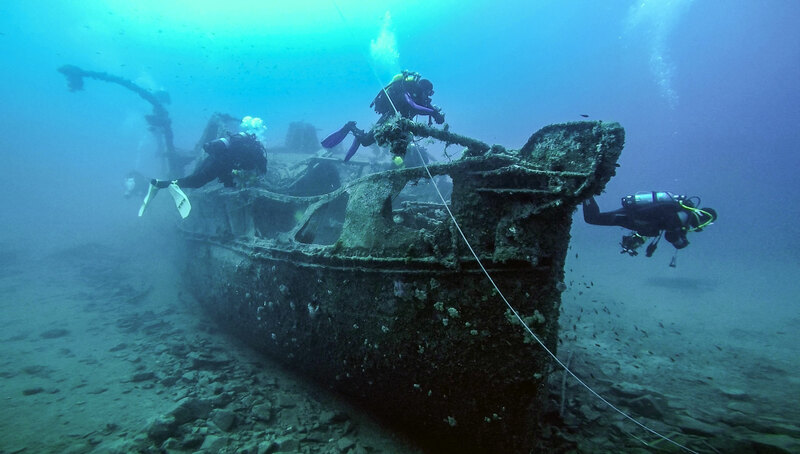 Divers discovered the wreck of Drifter Eddy on 26th October 1995. ★★★★☆ A bit small but interesting authentic war wreck.